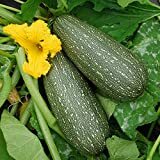 Zucchini plant growing – herbaceous of the genus Cucurbita also known as Courgette, Zucchini plant annual plant, grow as shrub, semi vine, vine or creeping vine, can grow in mediterranean, desert, subtropical, temperate or tropic climate and growing in hardiness zone 4+. 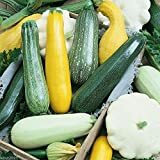 Flower edible in yellow color with five lobs, female contain semi fruits that looks like a little Courgette plant, and male flower are smaller. 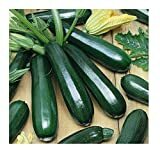 Fruit of Courgette plant picked up when it’s unripe before it’s fully grown, peel is green yellow, orange sometimes stripes, the shape can be oval, round or the structure rough sometimes cause incontinence to human skin, inside the fruit is light green. 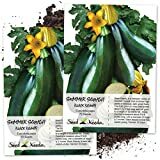 Zucchini , Grey Zucchini Squash, 25 seeds per pack, Organic, NON GMO,has been a favorite of vegetable gardeners since the 1950’s. 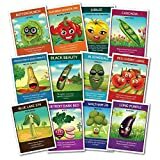 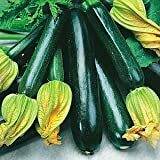 Summer Melody Mix Golden Zucchini, Black Beauty , Grey Zucchini , Scallop 100 Seed. 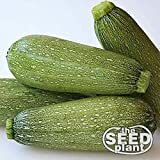 What can be done with big quantities of Zucchinis?